We are Keone and Yonnell Farias. We were both born and raised here on this wonderful island. We welcome you to our beautiful new home and would be happy to share with you our favorite places. 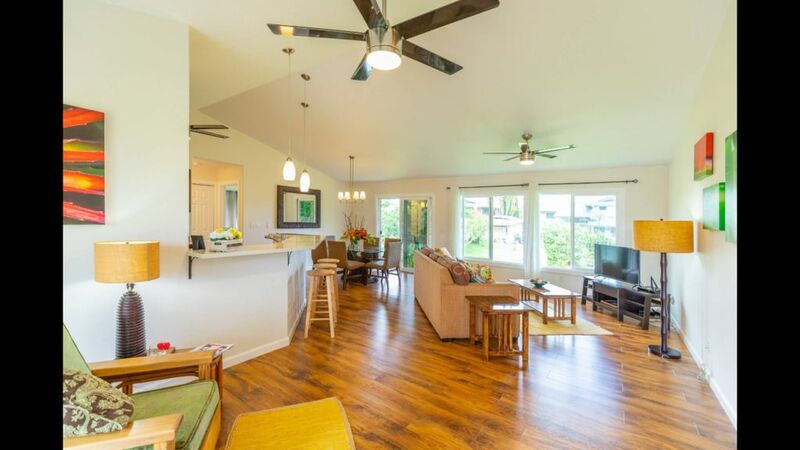 Located in a quiet neighborhood of Waiakea Uka, we are a short 10 minute ride from the airport, 35 minutes to the Volcano, and just a few minutes from local grocery stores and eateries! Waiākea Uka is translated "the mountain side" of Waiākea. There are beautiful views of both Mauna Kea and Mauna Loa mountain. The University of Hawaii at Hilo is located in the Waiākea district as well. There are parks and convenience stores with in walking distance to the house but a car would be more suitable. Our house is your home away from home. We want you to feel at home during your stay. We also respect your privacy. The keypad entry allows you to come and go at your convenience. We live near by and are only a call or text away for any questions, suggestions, and housekeeping needs you may have. We only stayed 2 nights but thoroughly enjoyed our stay. It was easy to find in a quiet neighborhood with plenty of room. Loved the ‘night sounds’ of frogs, etc. Yonnell and Keone had fresh eggs from their chickens and some fruit from the citrus trees. Everything was perfect! We had a wonderful time staying at this house. Very quiet location -- except for the comforting sounds of exotic birds and frogs, which I already miss -- yet only a little over 10 minutes from "downtown" Hilo. Very nice accommodations with everything we needed. I arise earlier than the rest of my family and I really enjoyed sitting on the couch in the living room, drinking coffee, reading, and frequently looking out the back window to see Mauna Kea - very enjoyable (the mountain is often obscured by clouds since, after all, this is the "wet" side of the island, but still we saw the mountain many many times since, after all, these clouds are not relentless as they are in Seattle, my home town). We had a couple of needs that the owners, Yonnell and Keone, quickly took care of, and they had some great suggestions for places to go and things to do in the area. I would have no hesitation in renting this place again. Our family of four stayed at this lovely house as we explored the east side of the island. We had a wonderful time: the beaches and parks in Hilo which were fabulous, the drive to Volcano National Park is scenic and easy, and the caves & waterfalls in Hilo are beautiful. We saw sea turtles as soon as we got to the beach on our first day! The house is very clean and comfortable: we slept well, we ate well, and we were very sad to leave! Perfect location, quiet neighborhood, homey and everything you need on a vacation! We would rent again and if you want a perfect spot to stay while in Hilo, this would be the place. Thank you for having us! This house is wonderful for a family or small group staying in Hilo; everything visitors need is a short drive away. The layout of a master bedroom with a bath as well as two bedrooms with a bath on the opposite side of the house seems like it would work well for a variety of groups. The common area accommodates the whole group comfortably. Additionally, the house is very clean with most items a traveler would need to get started. We would definitely stay again!